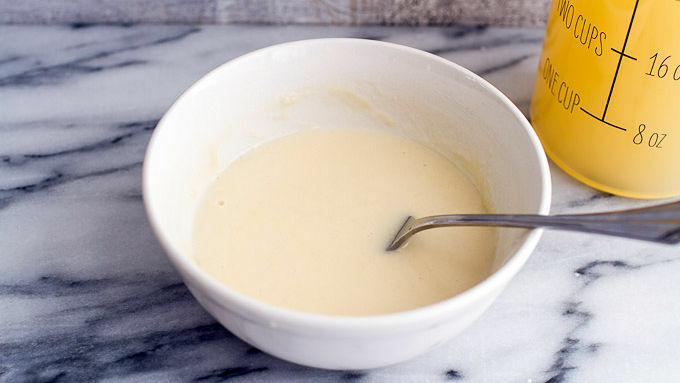 Melt butter in the microwave and whisk in flour. Whisk in 1/2 cup chicken broth. 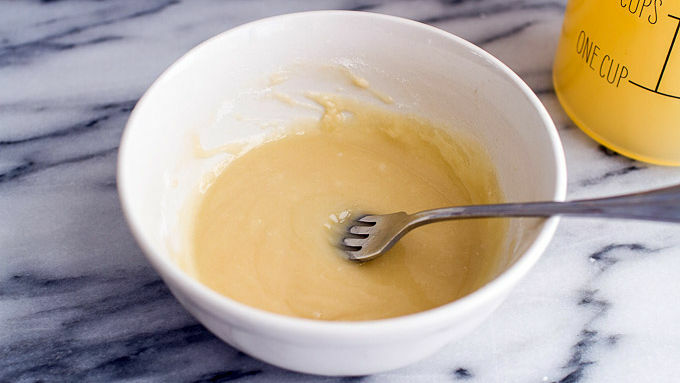 To the bowl of a slow cooker, add the remaining chicken broth and the butter-flour-broth mixture and whisk until combined. Add the pickle juice, pickles, potatoes, carrots, Old Bay™ Seasoning, salt, pepper and cayenne. Cover and cook 6 to 8 hours on Low setting or 4 to 6 hours on High. Stir in the yogurt (or sour cream) and cook another 5 minutes. Serve warm with pita chips and garnish with grated cheddar cheese if desired. So, how do you feel about pickle soup? You're probably thinking, "Pickles in soup? Is that a normal thing?" But it's totally normal and, surprisingly, it is so good. The flavor is so amazing, you'll literally crave it. It’s so cozy and perfect for cold days. 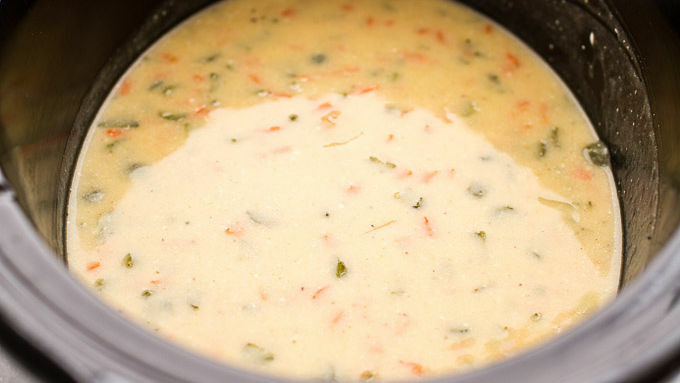 For this recipe, we made the soup in the slow cooker to keep everything simple and easy. 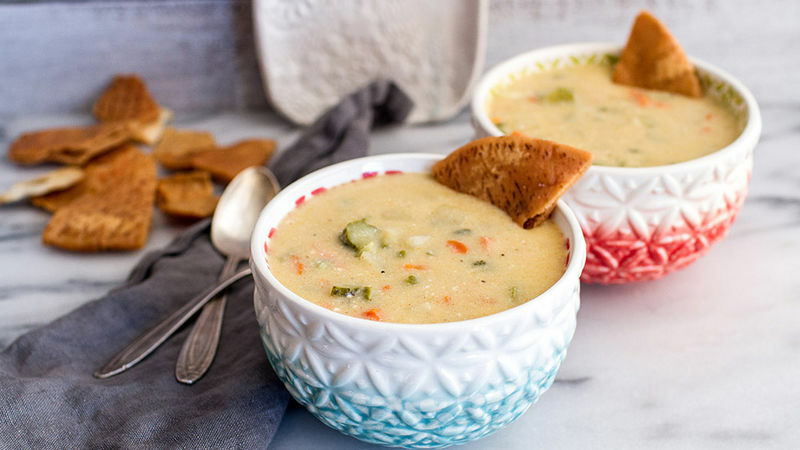 (We just love slow-cooker soups – is there anything better than coming come home from a long day and having dinner ready to go for you? And the house smells so good! All you have to do is dig in. YES.) 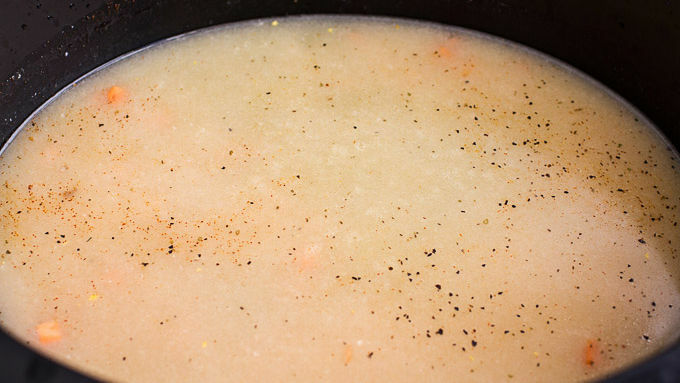 If this is your first time making pickle soup, may we offer a serving suggestion? Ladle into bowls, and serve warm with some crisp pita chips. (A sprinkle of shredded cheese never hurt anyone, either.) 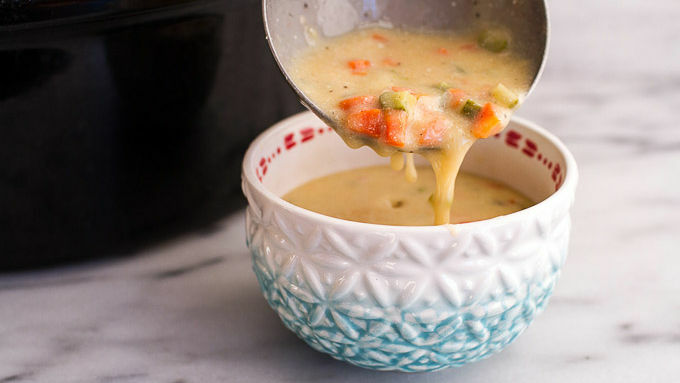 It's a beautiful and delicious soup!